The Roomba 960 is the 980’s predecessor and a cheaper alternative to it for that matter. Even though the Roomba 980 is superior, the Roomba 960 is still a great vacuum cleaner that should top your wish list. It boasts some of the best features in the game currently. Some of these features include iAdapt 2.0 navigation, Wi-Fi, Voice-activated control and Virtual Walls. Being among the latest Roombas in the market, we decided to write a review of the Roomba 960. But before going any further, let’s look at its pros and cons in summary. As the second best Roomba, we have finally decided to do a review on it to ascertain whether it is worth the hype or not. By now, we have used the Roomba 960 for 3 days testing all its features and performance so that we may give an honest opinion about it. We will also give our ratings based on how the Roomba 960 compares with other models in its price range. Without further ado, let’s get straight to business. What We Liked in the Roomba 960? What We Didn’t Like in the Roomba 960? Just like most of the other vacuum cleaners from iRobot as well as other brands like iLIFE, ECOVAS, Neato Robotics and so on, the Roomba 960 sports a low-profile design tom facilitate smooth maneuverability under sofas, beds, kickstands and other furniture. This guarantees comprehensive cleaning in every part of your house, something many vacuum cleaners don’t do. Besides, at 8.7 lbs., it is lightweight and easily portable. The main components are crafted from high grade materials for durability and also efficiency. When it comes to aesthetics, it has more appealing looks compared to the previous Roombas. Perhaps the only vacuum that we know of that can rival the Roomba 960 in terms of aesthetics is the Dyson 360 Eye. When it comes to controls, the Roomba 960 only has 3 buttons for easy and straightforward controls. There’s one large CLEAN button and two other smaller buttons beside it. When it comes to design and aesthetics, we put the Roomba 960 at 4-stars bearing in mind the iLIFE V1 and A6 are less than 3-inches high. Dyson 360 is also better in terms of aesthetics. The Roomba 960 is one versatile vacuum cleaner that can clean a range of surfaces. If you are not sure of the floor type of your next apartment, there’s no need to worry. Besides, it can clean other forms of dirt even though it can’t match the Roomba 980. With the Roomba 960, you can easily clean different floors as it adjusts itself depending on the floor type. We tried it out on hardwood, tiled and laminate floors. Its action on carpets is not that impressive but it still performs better than other small vacs we know of. Besides cleaning floors, you can use the Roomba 960 for pet hair and allergens cleaning. However, it is not the best choice for pet owners and that’s why iRobot came up with the Roomba 980. What makes us give it some credit when it comes to allergens cleaning is the AeroForce High Efficiency Filter that can filter 99% of allergens and pollen. In our opinion and after careful deliberation, we give the Roomba 960 4.5-stars as far as its versatility is concerned. In as much as it does well, there are better options for example the Dyson 360 Eye and Roomba 980. The Roomba 960 is a great vacuum cleaner that you can rely on for the best household cleaning. Whether it is cleaning dirty floors or wall edges, you can always count on the Roomba 960. It uses iRobot’s AeroForce 3-Stage Cleaning System that guarantees effective and efficient cleaning. In the first stage of this system, the brushes bring dust and debris in the path of the vacuum cleaner by sweeping corners and wall edges. Then, the Dual Counter-Rotating brushes grab the dust and debris from the floor ready for vacuuming. In the final stage, the high power motor that delivers 5x more air power suctions all these dirt and debris and empties them in the dirt bin. Unlike other older vacuum cleaners that leave a trail of dirt in their path, the Roomba 960 is different. It comes equipped with a sides brush to ensure the paths of the vacuum cleaner are cleaned effectively leaving your floors sparkling clean. We found the sides brush in the Roomba 960 very effective compared to those in most of the vacs we have reviewed. When it comes to filters, the Roomba 960 maintains the native AeroForce High Efficiency Filter that is used in all Roombas. It has exceptional performance and filters out 99% of allergens and pollen. Besides, it can filter debris as small as 10 microns. For cleaning, we rate the Roomba 960 at 5-stars because its cleaning ability is second to none. Oner of the aspects that make Roombas stand out from the crowd is their navigation systems. iRobot uses their Patented iAdapt Navigation system that is well known for its reliability when it comes to precision and accuracy. This system use high-tech sensors tpo clearly map out the layout of your home. In the Roomba 960, just like in the 980, the navigation has been enhanced further. The 960 comes with the revolutionary iAdapt 2.0 which is an upgrade of the original iAdapt Navigation System. Besides this, it has Visual Localization to enable the Roomba stay up to date with the real time layout of your house. The camera helps it detect whatever is ahead of it. Besides helping the Roomba find its way around your house, this navigation helps the Roomba in multiroom cleaning as well as boundary marking. In multiroom cleaning, the navigation system and camera help the vac plan its cleaning process so that it covers every area of the floor before going to another. Once it grasps the layout of your house, the Roomba plans a methodical pattern that will enable it cover the whole area without skipping any place. This is what we call Entire Level Cleaning. Other navigation features include Cliff sensors that prevent the Roomba from falling off the stairs. When it comes to navigation, the Roomba 960 is an A+ player. We give it 5-stars. Another important feature that comes with the new model vacuum cleaners is boundary marking. This feature comes in handy when you have areas that you wouldn’t wish the Roomba to reach. The Roomba 960 is rich in terms of connectivity. It allows users to connect to their robots, monitor them and issue commands remotely courtesy of Wi-Fi connectivity and Voice-Activated Control. With Wi-Fi, you can connect with your robot and operate it on the iRobot Home App. On the App, you have full access of the controls, scheduling and so on. You also get to receive Push notifications as well as Clean Map™ that lets you see where your robot cleaned. Another great addition in this vac is the Voice-Activated Control which enables homeowners operate the vac using their voice. This feature requires either Amazon’s Alexa or Google Assistant. In terms of connectivity, the Roomba 960 scored 5-stars. Roomba is among the robot brands with high capacity batteries that guarantee long run times. Even though other Roombas like the 870 use NiMh battery technology, the 960 employs the new Li-Ion technology. This battery can power the Roomba for a cool 75 minutes which is enough to clean an average house. Unlike the Roomba 980 that takes over 3 hours to get full charge, thethis one takes lesser time to charge thus guaranteeing faster cleaning times. Regarding battery life, we have given the Roomba 960 4-stars bearing in mind there are cheaper vacuum cleaners with better run time. The Roomba is now one of our favorite vacuum cleaners. After staying with it for 3 days, we really liked its performance and what it offers in general. Here are several reasons why we liked the Roomba 960. First, its swiftness is really impressive especially under furniture. The low-profile design enables it to maneuver under sofas, beds and even kickstands. This ensured that all dirt hotspots are cleaned. Second, it is very efficient in cleaning. The AeroForce 3-Stage Cleaning System together with the AeroForce High-Efficiency Filters guarantee comprehensive cleaning. When compared to other vacuum cleaners in the market, the Roomba 960 is exceptional. Another great thing worth mentioning about the Roomba 960 is the precise navigation system that is backed up by a camera. This vac uses the advanced iAdapt 2.0 Navigation system with Local Visualization which is among the best navigation systems used in robotic vacuum cleaners. The Roomba 960 also offers better connectivity when compared to its close competitors. Besides Wi-Fi, the Roomba 960 allows users to control it with either Amazon Alexa or Google Assistant. This is a very great feature that is unique in robotic vacuum cleaners. Even though the Roomba 960 is regarded as one of the best vacuum cleaners in the market, there are a few things we think iRobot could have done better. First, for such an expensive vacuum cleaner, 75 minutes run time is not impressive at all. iRobot should have at least optimized this battery to ensure it does more than 100 minutes so that it can match the likes of the Roomba 980, iLIFE V7s and the iLIFE A6. Another shortcoming of the Roomba 960 is regarding its price. We find it an average vacuum cleaner with no extras that justify a heftier price tag than the likes of Dyson 360 Eye. 1. Roomba 980 – It is so unfortunate that iRobot’s own product wages a great war on its predecessor. The Roomba 980’s superiority is felt even in the market. The Roomba 980 beats the 960 greatly in terms of performance. It is ideal for pet hair cleaning as well as carpets courtesy of the Carpet Boost mode. However, its price is quite high and this is the 960’s only weapon. 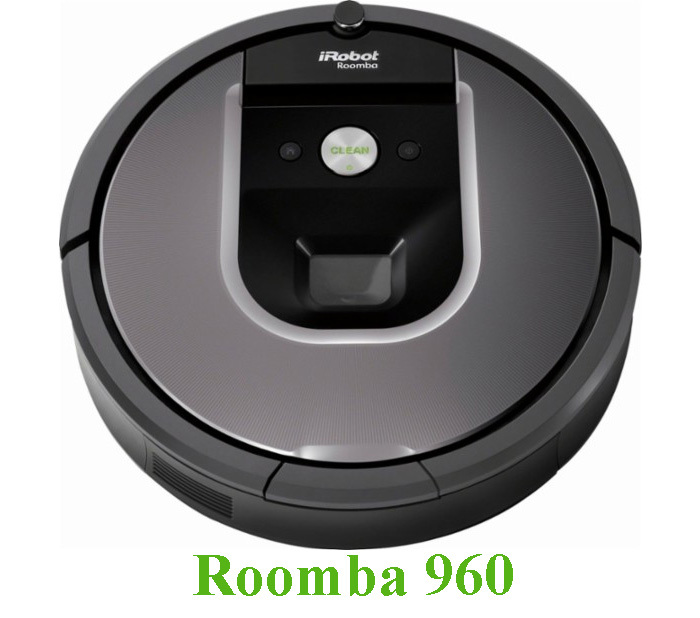 Many customers prefer the Roomba 980 over the 960 unless when they are on a budget. 2. Neato Botvac Connected – The Botvac Connected also rivals the Roomba 960 in the market. The rivalry is on several frontiers. Even though the Roomba 960 has better navigation and cleaning system, the Botvac Connected has been designed to clean corners. This is courtesy of the D-Shape design with CornerClever technology, something iRobot has never focused on. Besides its compatibility with Alexa and Google Assistant, it is also compatible with a Facebook bot. Its run time is also better than that of the Roomba 960. Generally, the Roomba has received a warm welcome in the market. Currently, it is among the fastest selling vacuum cleaners. In terms of ratings, it scores better than the Roomba 980. At 4.4-Stars after 497 customer reviews, it is safe to assume that the Roomba 960 is a hot cake in the market. If you look keenly at these reviews, you will realize that most customers are happy with its performance. However, its price is still high from what most people online are saying. The Roomba 960 is a great alternative to the Roomba 980. Even though it lacks some extras that make the Roomba 980 superior, it is still a vacuum cleaner that is worth checking out. Aside from its main competitor, the Roomba 980, it beats other vacs in its range. For example, it has Voice-Activated control, a very new feature in the game. If you are looking for the best Roomba on a budget, I would recommend you buy the Roomba 960 and experience the greatness of the Roomba!